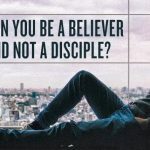 Are "believers in Jesus" and "disciples of Jesus" the same thing? You are here: Home / Redeeming Theology / Are “believers in Jesus” and “disciples of Jesus” the same thing? 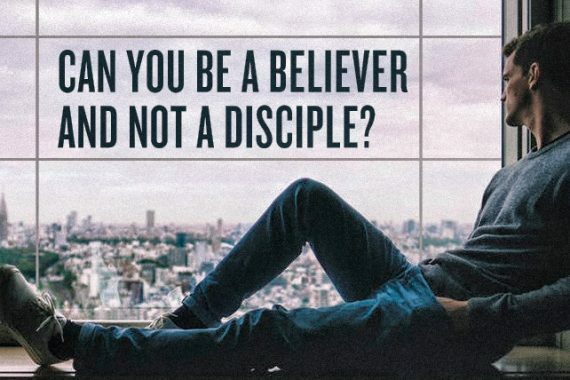 Are “believers in Jesus” and “disciples of Jesus” the same thing? Not all disciples are believers. It seems a little confusing at first, but if we think through each statement a little more slowly, it all makes sense. 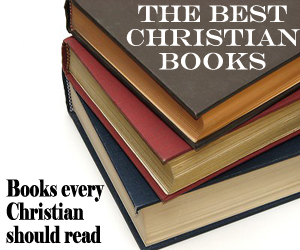 We know from numerous Bible passages that anyone who believes in Jesus has eternal life. Jesus makes this claim over and over in the Gospel of John (cf. John 3:16; 5:24; 6:47). There should be nothing too controversial about this statement by Jesus, but strangely, many Christians don’t agree with Jesus on this matter. Many say that faith alone in Jesus Christ alone is not enough, for we also need to submit our lives to Jesus, obey Jesus, follow Jesus, and perform all sorts of good works to prove that we truly belong to Jesus. But if you look at all of the Bible passages which contain instructions for these sorts of things, they ALL are talking about becoming a follower, or disciple, of Jesus. They are NOT talking about receiving the free gift of eternal life from Jesus. Ancient discipleship was very close to what we call apprenticeship. A person would follow and learn from a master teacher or craftsman in order to become like him and do what he did (Matt 10:25; Luke 6:40). This usually progressed in four stages: First, he listens to the master’s instructions. Second, he watches the master perform the action. Third, he performs the action with the master’s help. Fourth, he is able to perform the action on his own, and starts teaching it to others. A mathētēs (disciple) who only listened to the master teach but never progressed out of the classroom, would never be considered a true disciple, even if they could recite from memory everything the teacher had ever said. While “classroom” teaching and learning was part of the discipleship process, it was only the very first part. A student who never progressed past the classroom would not be considered successful. While learning was important, putting into practice what had been learned was the most important. A true disciple not only learns what the teacher knows, but also practices what the teacher does (cf. Luke 6:40). All of this means, of course, that true discipleship is a lifelong process, especially when we think of being a disciple of Jesus. Since no person can ever fully learn everything Jesus has to teach, and no person can ever fully resemble and practice everything that Jesus leads us to do, all who are disciples of Jesus will spend their entire lives learning from Jesus and following in His footsteps. Since this is so, is should be immediately obvious that there are major differences between believing in Jesus for eternal life and being a disciple of Jesus. For example, once a person receives eternal life through faith in Jesus, they have eternal life forever. They receive the free gift of eternal life immediately upon believing in Jesus, and nothing they can say or do in the future will cause God to take away this eternal life from them. Discipleship, however, is not instantaneous, is not a free gift of God, and has numerous ongoing conditions. While a person cannot lose their eternal life, they can stop being a disciple if they fail to meet the conditions. Therefore, as you can see, it is possible to believe in Jesus for eternal life, but fail in several aspects of discipleship. Such a person is still part of the family of God, but they are not properly participating in the activities of the family of God. God will not kick them out of His family for such inactivity, but will continue to seek to teach, train, call, and maybe even discipline these children so that they will grow up from infancy and become productive members of His family. 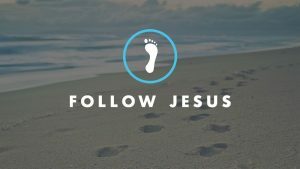 Just as it is quite possible for someone to believe in Jesus, but not become a fully-committed follower of Jesus, it is also possible for someone to follow Jesus as a disciple, but never actually believe in Him for eternal life. Judas Iscariot might be one example, but there are other examples in the Gospel accounts, such as those who follow Jesus for a while, but then leave Him when the going gets tough (cf. John 6). It appears that many of those who left didn’t believe in Jesus for eternal life. Even in modern times, we all know people who consider Jesus to be a good moral teacher, and try to follow His example and teaching, and yet who still believe that their own good works and moral living is how they will earn eternal life for themselves. Such people are certainly disciples of Jesus, for they listen to much of what He says and follow His example, but they do not have eternal life because they have not believed in Jesus for eternal life. Mahatma Gandhi repeatedly said that he did his best to follow the teachings and example of Jesus, especially what Jesus taught in the Sermon on the Mount. It is too bad we Christians do not follow the example of Gandhi in this regard! However, as far as we know, Gandhi never believed one of the main things that Jesus taught, which is that God gives eternal life to anyone who believes in Jesus for it. Sadly, there are probably many who call themselves Christians who do their best to follow Jesus, and yet who have not believed in Jesus for eternal life but instead continue to trust in their own good works and effort to earn everlasting life for themselves. If you want the full experience of the Christian life, you should not only believe in Jesus for eternal life, but also seek to follow Jesus in the path of discipleship. This way, you not only have eternal life from Jesus, but the abundant life with Jesus. You not only get to be part of the family of God, but also get to join in the thrilling adventures that God goes on with His active family members. 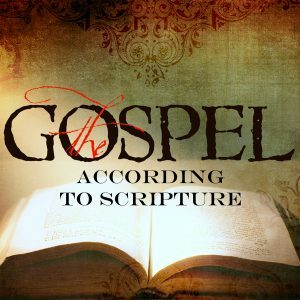 Let me provide one example of how this helps us understand Scripture. Matthew 10:37-39 contains several more costly and difficult conditions for the person who would be a disciple of Jesus. In the previous context, Jesus said that His teachings would create division and strife between family members (Matt 10:34-36). Jesus says that if this happens, His disciples must choose to follow Him rather than stay committed to their family. In the parallel passage of Luke 14:26-33, Jesus says that His disciples must even “hate” their family members. 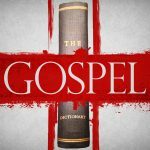 These passages have been widely misunderstood, primarily because we do not live in the honor and shame culture of Jesus’ day. In a culture that was governed by honor and shame, turning away from family business, family traditions, and family culture to follow other traditions was akin to hating your family. Jesus is saying that in such situations, there might not be anything one of His followers can do. We should never hate our family members or treat them in unloving ways, of course. Such behavior has nothing to do with following Jesus. But when we follow Jesus, other family members are likely to misunderstand. They might even (wrongly) feel that we hate them. And while we are to always show our family members love, and invite them to follow Jesus along with us, if they force us to choose between Jesus and family, Jesus is saying that His disciples will choose Him. This is not easy. It will feel like dying, which is exactly what Jesus says. He invites His disciples to take up their cross and follow Him. Following Jesus is following Him into the death of our old life. We will die to old habits, old traditions, and old beliefs. We will lose our old life. But in the process, we will gain a new way of living with Jesus Christ. When we lose our life for the cause of Christ, we gain a new life with Him (cf. Matt 16:24-27; Mark 8:34-38; Luke 9:23-26). This discussion in Matthew 10:39 about finding a new life with Jesus has caused some to think that Jesus is referring to eternal life. But typically, when Jesus is referring to eternal life, He refers to it as such. When He is simply talking about life, He is referring to the temporal, physical life here on earth, as is the case here. This world has a certain set of values and goals, but they always and only lead to death. So when we try to hold on to our life in this world, we lose it. However, when we give up the values and goals of life in this world, and instead adopt and accept the values and goals of Jesus, it is then that we discover how to properly live this life with God and with others. 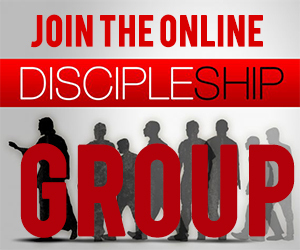 So do you want to follow Jesus on the path of discipleship? It won’t be easy. It might even cause some of your family members to condemn and hate you. But the life you will gain as an active member of the family of God will make it all worth it. Matthew 10:37-39 is not telling you how to receive eternal life, but is telling you what you can expect if you truly follow Jesus on the path of discipleship. Following Jesus can be quite costly, but it is more than worth the cost. 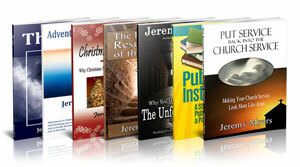 Are you a believer AND a disciple? Are you trying to follow Jesus, but you are not sure you have eternal life? That’s a good start … but let me be one of the first to invite you to believe in Jesus so that you can KNOW that you have eternal life, and so that you can better follow the leading of Jesus in your life. Make sure you understand the differences between believing in Jesus for eternal life and following Jesus on the path of discipleship. They condition and results of both are completely different, but both are necessary to experience ALL that God wants for us in the life. 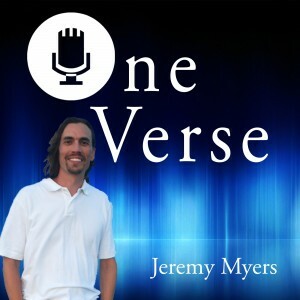 Once you understand the differences, however, many troubling texts in Scripture will make a whole lot more sense. If you want to be a disciple of Jesus then you have to follow the resurrected Jesus through the teachings of Paul. Trying to follow Jesus in his earthly ministry means you have to follow the mosaic law. We are not under the law, we have never been under the law. The law has been nailed to the cross. This sounds like an extreme form of dispensationalism. Jesus didn’t teach the law, exactly, but the spirit of the law which is indeed a guide for humanity. Jeremy: I have not read this perspective before. Very thought provoking. It makes sense. God does not love you based on your obedience. What parent does that! Pursing being a disciple has wonderful blessings aka a close relationship with our Creator. Yes, viewing God as a parent, and looking at how we parent is a very helpful comparison. Excellent as always. Very clear and makes a lot of sense! Love your teaching. Thank you, Suzanne! Thanks for the comment! That was a really helpful explanation of the concepts of eternal life and discipleship. I don’t think I’ve ever heard them broken apart like that before. It adds context to some confusing parts of the new testament and they now make a lot more sense. 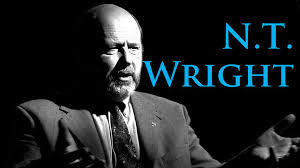 Thanks, Norm. Glad you found it helpful. It really does help make sense of a lot of texts.